The Turks and where? That’s the reaction most people have when you mention these tropical isles. Like all great Shangri-Las, this one is hidden just under the radar. Be glad that it is, as this tropical dream is the deserted Caribbean destination you’ve been looking for. And the best part – it’s only 90 minutes by plane from Miami; this slice of paradise is just around the corner. So why would you want to go there? How about white-sand beaches, clear blue water and a climate that defines divine. Secluded bays and islands where you’ll see more wild donkeys than other travelers. Historic towns and villages that look like something out of a pirate movie, where life creeps along at a sedate pace. While development is on the rise, all one has to do is dig a bit deeper, catch a boat to the next island over and the solace of solitude returns: islands like Grand Turk (part of the Turks Islands) are set in a time long since past, with dilapidated buildings, salt ponds and narrow lanes, and contrast with the ever-expanding Providenciales, tourist gateway to the Caicos Islands. Divers and beach aficionados will rejoice at the quality of the sea here. Clear warm waters teem with sea life, yet are devoid of crashing waves. Even the most ardent land lubber can’t help but be mesmerized by the azure water and golden sand. 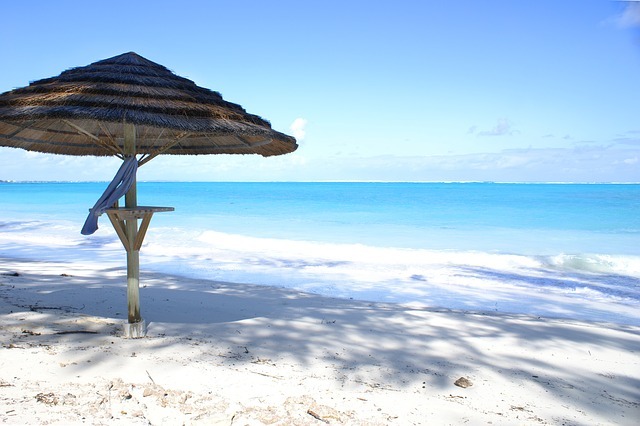 Though not known as a shopping mecca, the Turks & Caicos Islands offer some excellent buys. Here you will find no sales tax, no luxury tax, and items such as jewellery, watches, cameras, perfumes, crystal, china, cigars and liquor available to US and Canadian residents duty-free at selected locations. Boutiques are to be found island-wide with the most concentrated in the Grace Bay area of Providenciales (Provo) at Caicos Café Plaza, La Petite Place, Ports of Call, Regent Village and The Saltmills. Centrally located find Graceway Plaza and Central Square. Most hotels have lobby shops and there are Duty-Free items available at the Providenciales International Airport departure lounge. One of the main attractions that draws thousands of travelers to the Turks and Caicos Islands is the assortment of great beaches found on many of the area’s islets. Beautiful beach-front properties adorn the coastlines of islands such as Grand Turk, Providenciales, Salt Cay, and other islets in the North, South, and East Caicos. Although the Turks and Caicos are a popular vacation destination, the islands remain uncrowded and the beaches maintain a secluded ambiance, which often feels like being on your own private beach. The pristine sandy shores provide a picturesque setting for your Caribbean vacation, complete with stunning cliffs, rock jetties, and the sparkling blue waters of the Caribbean Sea. Spend a quiet day lounging on the isolated Long Bay Beach on Providenciales, also called “Provo,” or search for pretty sea shells on sparkling sugar-sand beaches on Salt Cay. There is only one major casino located within the Turks and Caicos Islands – the Casablanca Casino on Providenciales. Here vacationers can enjoy sizzling slot machine action at any one of 85 slot machines, or try their hand at a variety of card games hosted at the casinos 12 live gaming tables. The Casablanca Casino not only provides travelers with the opportunity to win big during a tropical getaway, but is also home to the Casablanca Lounge and Bar. Not to worry if you plan on imbibing one of the bar’s outstanding cocktails, the Casablanca Casino offers free transportation to and from any resort or hotel on the island. Provo also has a number of other great attractions including the Princess Alexandra Marine Park, home to Jo Jo the bottlenose dolphin, who is popular among islanders and vacationers. Shopping and exploring ancient ruins are also great pastimes while visiting the Turks and Caicos Islands. The group of more than 40 islands that make up the Turks and Caicos is the perfect vacation haven for travelers who want to get away from it all. Ivory sands and warm turquoise seas provide the perfect setting for your island vacation. You can even take a break from all the sand and sun, and enjoy exciting gambling action if you’re on Provo. The Turks and Caicos’ climate is a beach lover’s dream, with temperatures rarely getting excruciatingly hot or anything approaching cool. Temperatures average 77°F (25°C) in winter and 90°F (32°C) in summer. The hottest months are August to November, and average humidity is 35%. Average annual rainfall is 21in and it’s wettest in summer. The winter season is most definitely the peak season for visitors. Hotel availability plummets and the prices soar from December through to April. Despite increasing popularity, even at the height of the high season, rooms to fit most budgets are generally available. A good option for travelers is to visit during the low season, when there are bargain rooms aplenty, deserted beaches and months of weather better then wherever you live. Scuba diving was the original water sport to draw visitors to the Turks and Caicos Islands in the 1970s. Aficionados are still drawn by the abundant marine life, including humpback whales in winter, sparkling clean waters, warm and calm seas, and the coral walls and reefs around the islands. Diving in the Turks and Caicos—especially off Grand Turk, South Caicos, and Salt Cay—is still considered among the best in the world. Off Providenciales, dive sites are along the north shore’s barrier reef. Most sites can be reached in anywhere from 10 minutes to 1½ hours. Dive sites feature spur-and-groove coral formations atop a coral-covered slope. Popular stops likeAquarium, Pinnacles, and Grouper Hole have large schools of fish, turtles, nurse sharks, and gray reef sharks. From the south side dive boats go to French Cay, West Caicos, South West Reef, and Northwest Point. Known for typically calm conditions and clear water, the West Caicos Marine National Park is a favorite stop. The area has dramatic walls and marine life, including sharks, eagle rays, and octopus, with large stands of pillar coral and huge barrel sponges. Off Grand Turk, the 7,000-foot coral wall drop-off is actually within swimming distance of the beach. Buoyed sites along the wall have swim-through tunnels, cascading sand chutes, imposing coral pinnacles, dizzying vertical drops, and undercuts where the wall goes beyond the vertical and fades beneath the reef. The Turks and Caicos are unique as a British-dependent territory with the US dollar as its official currency. The treasury also issues a Turks and Caicos crown and quarter. There are no currency restrictions on the amount of money that visitors can bring in. The country is pricey. 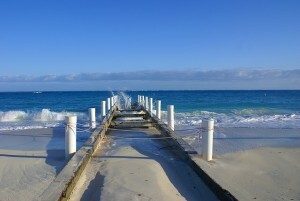 Credit cards are readily accepted on Provo and Grand Turk, as are traveler’s checks. Elsewhere, you may need to operate on a cash-only basis. Foreign currency can be changed at banks in Provo and Grand Turk, which can also issue credit-card advances and have ATMs. Major credit cards are widely accepted in the Caicos and Grand Turk. However, credit cards are not widely accepted for small transactions in the more remote cays and islands. Traveler’s checks are accepted in the Caicos and Grand Turk, but you may be charged a transaction fee of 5%.